The long talked about The Goldbergs spinoff is finally coming to a TV near you — ABC just picked a series order for the 2018-2019 schedule. After a months of not knowing whether or not the show would happen, the network has finally given the Adam F. Goldberg project the green light. 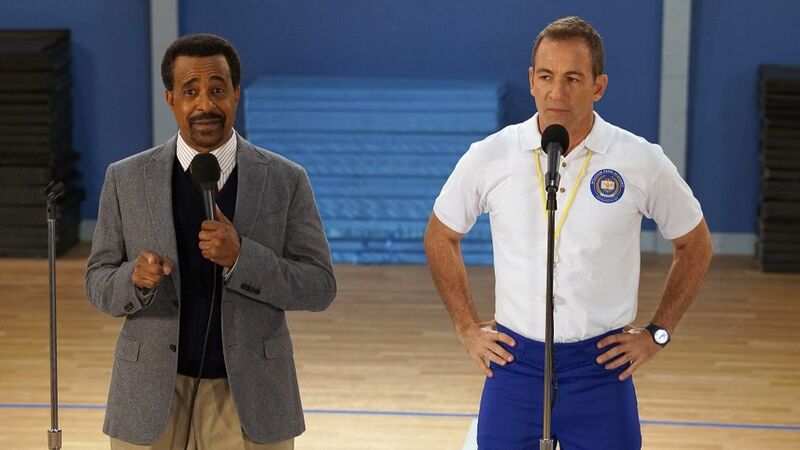 The new and improved '90s era spinoff will star previously introduced characters Mr. Glascott (Tim Meadows), Coach Mellor (Bryan Callen), and Barry Goldberg's (Troy Gentile) ex-girlfriend Lainey (AJ Michalka) — teachers at William Penn Academy — as they impact the lives of their students. Originally titled Schooled, the series was meant to star Nia Long (NCIS: LA) as mother to two teenage daughters who begin attending William Penn Academy where uncle Mr. Glascott is now principal. The pilot was initially ordered in February of last year but it wasn't picked up to series. Instead, the network tested it as a special episode of The Goldbergs earlier in 2018. The episode, titled "The Goldbergs: 1990-Something," featured that original concept with a special guest appearance by Wendi McLendon-Covey as the original "smother" Beverly Goldberg. Troy Gentile as Barry Goldberg and AJ Michalka as Lainey Lewis in The Goldbergs. Prior to the episode's screening in January, creators and producer Adam F. Goldberg spoke to The Hollywood Reporter about the special installment. "Last spring, the '90s spinoff tested higher than The Goldbergs pilot, so I certainly had high hopes for the project," he said. "Young Sheldon has proven that fans are very loyal and will watch a spinoff, so we are hopeful that we make a real splash when it airs so we can begin the conversation again about getting this on the air." Goldberg also talks about if we will ever see him in a WWE ring again. Since the series takes place a decade ahead of the '80s-set Goldbergs, much of the original cast may not be included. However, it wouldn't be surprising to see some familiar faces pop up.